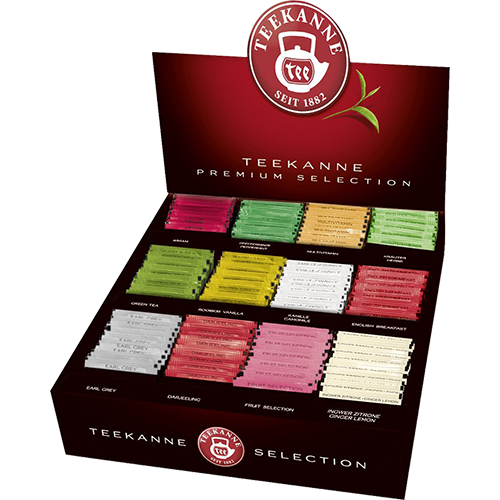 Teekanne Premium Selection Box is a practical and elegant box with twelve carefully selected blends of the best teas you can find. This products come from the well renowned German teahouse Teekanne situated in Düsseldorf. This box is very popular with hotels and restaurants all over the world. Why not have one at home or in the office? All black teas and Rooibos teas carry the Rainforest Alliance Certified seal.